Save this list for the best and most comfortable costumes. Take a look at the modest Halloween costumes below. You don’t need to show a lot of skin in order to stand out this year. Let the costume idea steal the show, while you look and feel great! 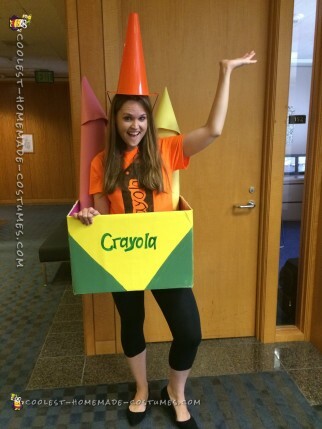 Be a bright spot of color with this vivid Crayon Box Halloween costume. Fun and with a touch of nostalgia, this homemade costume is a definite crowd pleaser. Satisfy your sweet tooth with this sugar-free homemade costume idea. Even better, Giana put this together in 20 minutes for her daughter’s costume and it got tons of compliments. Additionally, this costume also works as a homemade cushion. After falling off a trampoline, this costume wearer didn’t feel a thing! You can’t take yourself too seriously in this hilarious White Trash wordplay costume. Another last-minute homemade costume idea based on a genius idea. 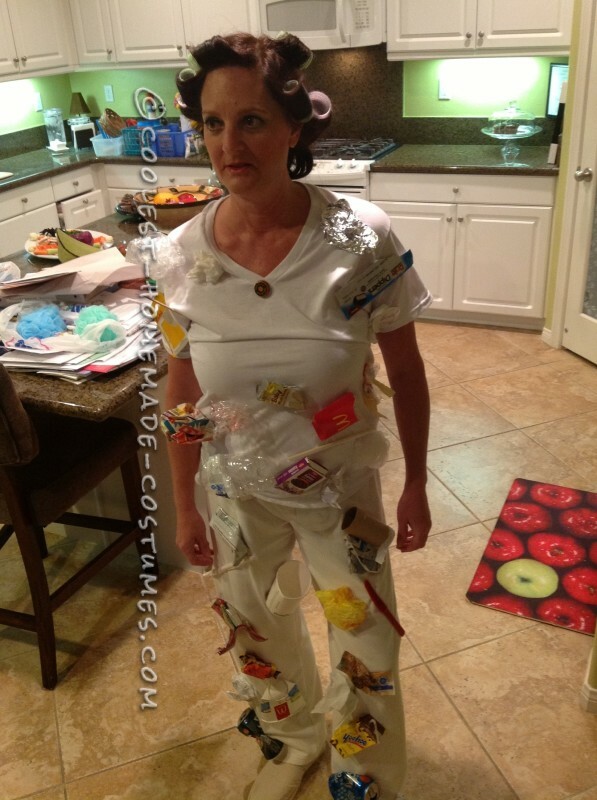 The best part is getting to wear your most flattering and comfortable clothing underneath all your trash costume. 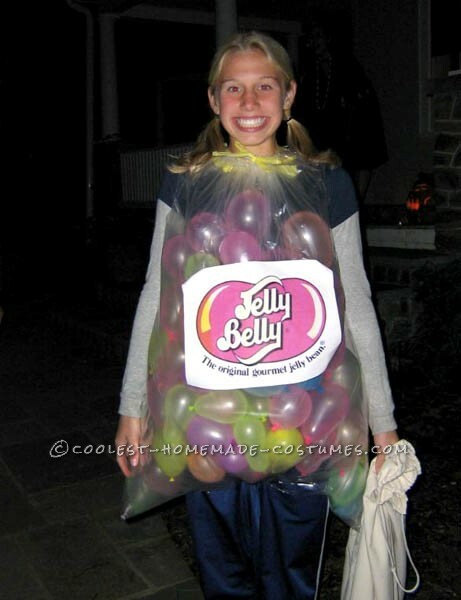 Let your hilarious personality shine through this cheap and super comfortable costume. Last minute, clever and fun, this is a total winner. The iconic Rosie the Riveter poster is still an inspiring role model for women today. This simple and modest costume goes a long way. Find out how Alex put it together here. Looking for an original couple costume idea? 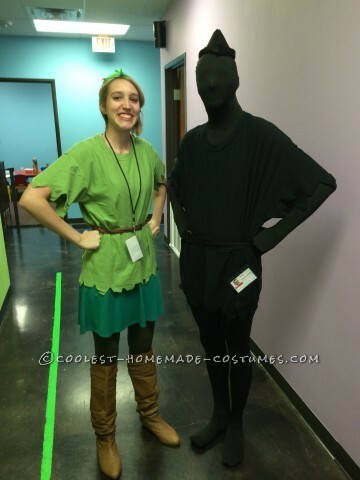 Take a look at this brilliant idea of Peter Pan and his shadow costume. Both DIY costumes are comfortable to wear and easy to design. Here are more modest Halloween costumes for a couple. 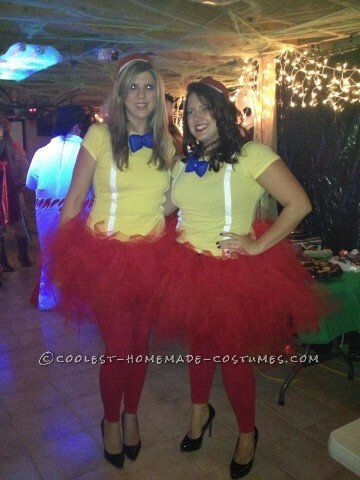 Try this matchy-matchy couple costume with a feminine take on Tweedle Dee and Tweedle Dum. Have fun in a tutu without sacrificing your modesty. Spending time brainstorming a costume idea, caused Tracy to create an actual Brainstorm costume. Check out the tutorial to make this homemade costume for an original take on the costume process. Finding a modest costume for your teenage daughter can be a nightmare. Instead, Kambri made this elegant spiderweb cape. Her daughter absolutely loved wearing it. Unique and easy idea that takes the focus away from what you are wearing. In addition, this original homemade costume cost less than $20. 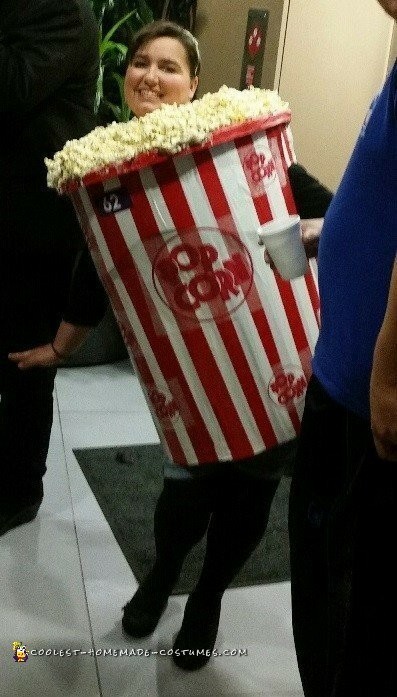 Munch your way through your modest costume with this surprisingly easy-to-make popcorn bucket costume. Sleeping, newborn babies make the best costume accessories. 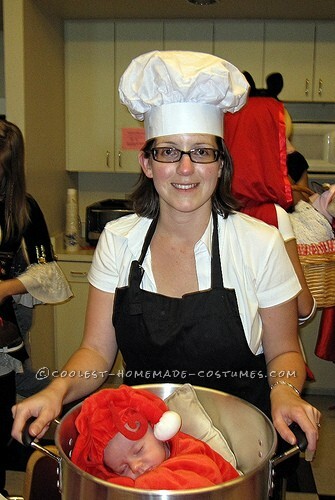 Try this lobster stew and chef costume for a creative and modest costume this Halloween. 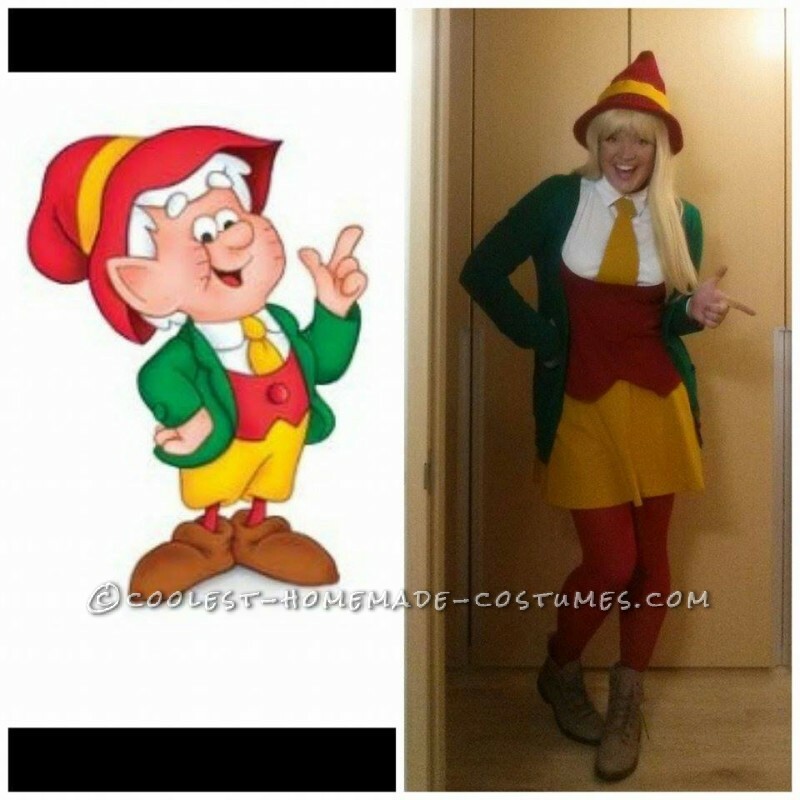 Channel your favorite cookie-making elf with this Ernie Keebler homemade costume. Find out how Katie created her look and ended up winning a costume contest, too! 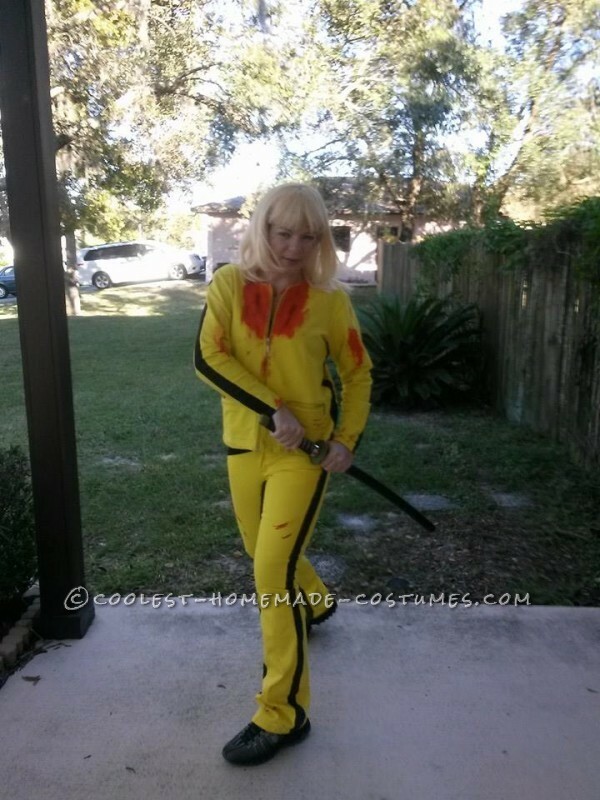 Try this Uma Thurman-inpsired yellow tracksuit costume from “Kill Bill”. Proving, yet again, that to do the dirty work, you need to be seriously comfortable. Who are you calling chicken? Check out the hilarious use of yellow rubber gloves in this fabulous DIY costume. 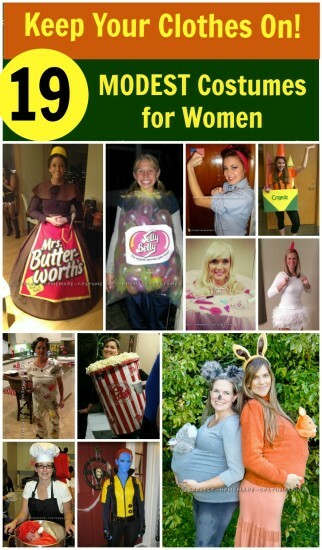 Try a twist on Curious George’s famous friend, The Man in the Yellow Hat, by making it into a woman’s costume. 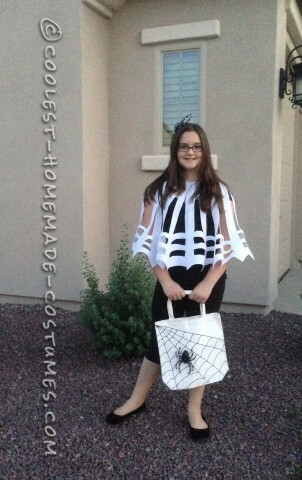 Read how Calynn created her homemade costume here. 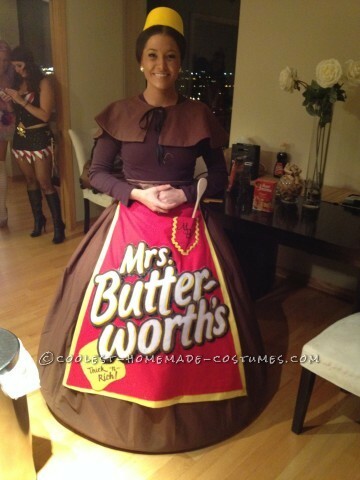 You must check out the amazing details on this Mrs. Butterworth Halloween costume. It’s like seeing the actual bottle come to life as a regal, beautifully costumed lady. Searching for an easy and comfortable way to costume your baby bump? 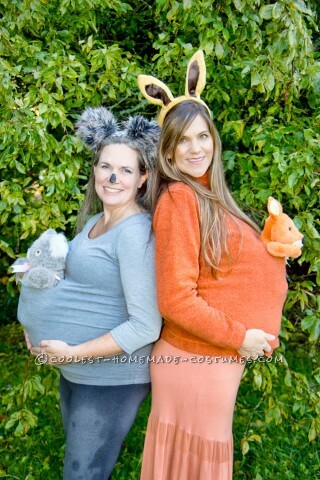 Look no further than these adorable pregnancy costumes. X-Men’s Mystique isn’t known for her modest costume. 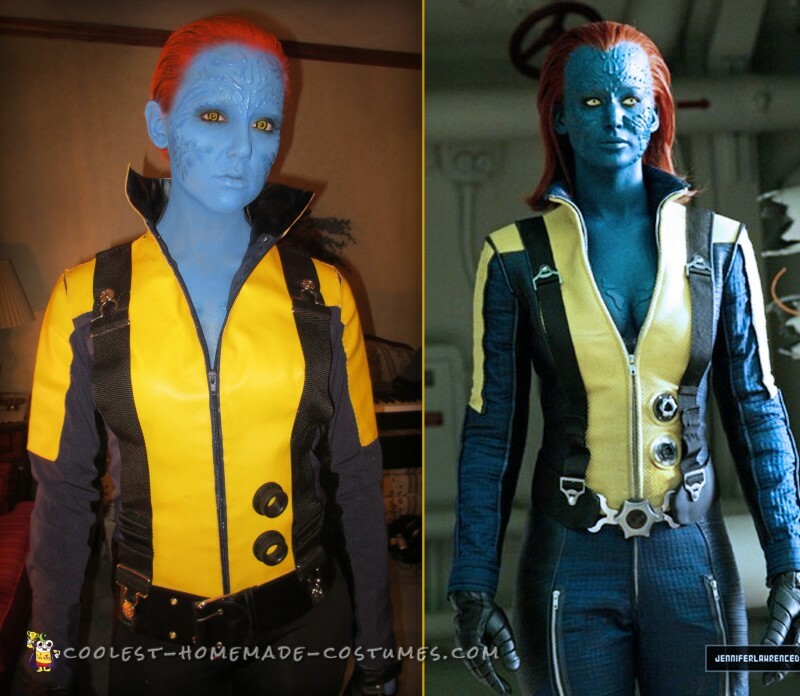 But Katie was up for the challenge of modifying Mystique’s costume. 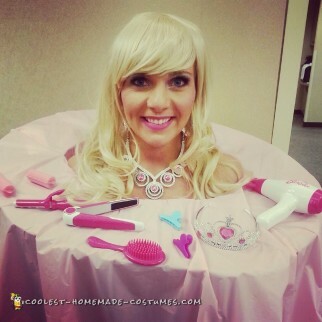 We think she did an incredible job with her Halloween costume. So, wear these costumes with confidence and feel good about spending very little to create a unique and fun look. Show everyone that clever ideas trump minimal clothing by trying the modest Halloween costumes here.